Dizzy? Have you ever gotten up out of bed with a sudden onset of dizziness? Do you feel as if the room is spinning? Does it last just a few seconds or a few minutes? BPPV is a common occurrence as we get older because we do not participate in the same body movement patterns we did when we were young, like swinging in a swing, rolling, jumping or quick turning. Those activities keep our inner ear functions healthy because they keep an active flow of fluid through the semicircular canals of our ear. This flow of fluid is necessary to tell our brains where our body is in space and keep our balance. Look at the illustration below and find the semicircular canals. As we get older we do less of the active movements we used to do and so that flow of fluids slows down. As the flow slows down, crystals can form in the canals and get stuck on the side. When fluids flow over these crystals, it creates a ‘blip’ in the flow and gives us that dizzy sensation. The treatment of BPPV can be performed by a manual manipulation by a Physical Therapist for more severe cases. Symptoms can be relieved often with just 2 visits. However, if you can’t get into see a PT, you can try this simple movement pattern I developed for use at home and see if you can dislodge the crystals by increasing the flow of fluids in the canals. These crystals, once dislodged will be reabsorbed by the body. I also suggest this movement pattern to do every day so you can also prevent the formation of crystals. Think of it as daily hygiene for your vestibular system. 2. Position yourself lying on your right side at the edge of your bed. 3. Roll from your right side, to your back and all the way over to your left side in one continuous move. Hold this position on your left side. Do this slowly at first. Always keep your eyes OPEN. Dizziness gets worse when you close your eyes. 4. Assess your dizziness. If you are dizzy, keep your eyes open and wait until it passes. 5. Now roll back to the right side and hold that position, Assess your dizziness again. 6. Your goal is to roll as fast as you can and create a spinning sensation from side to side. Always wait until the dizziness passes (with your eyes open) before you roll to the opposite side. 7. Repeat this pattern 6 times. Each time, your dizziness should get a little less. 8. Roll in the morning and when you go to bed. Rolling in bed is a great way to start your day. 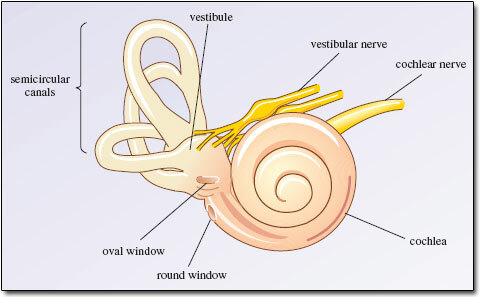 It gets the fluids moving in your inner ear and will decrease and even alleviate BPPV symptoms completely. Remember that dizziness puts you at an increased risk for a fall. Physical Therapist Tami Peavy is the founder of PracticalTherapy4U, producing therapeutic exercise programs like the Better Balance instructional DVD or download.